The shoe salon CROSSFORD'S NUMBER ONE offers largely handcrafted, high-quality shoes made from exquisite leather for Women and Men. 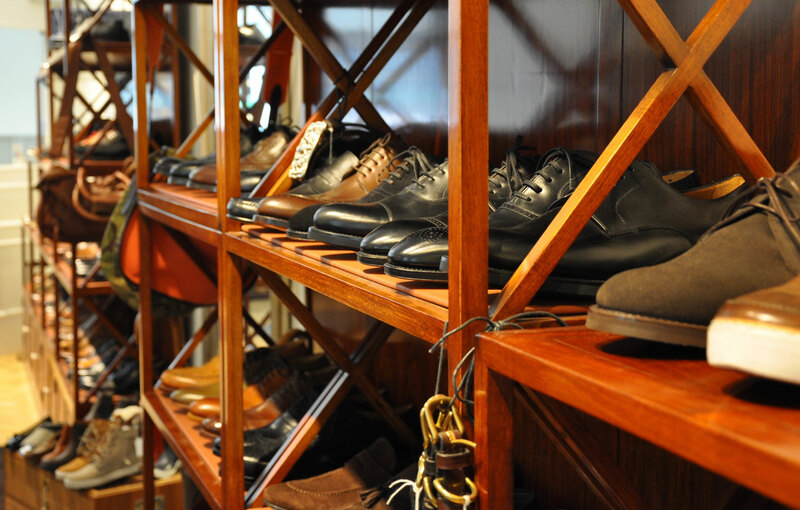 The wide range from classics to sporty shoes is complemented by belts, briefcases, and leather bags, as well as regular shoe cleaning courses and days for custom-made shoes. The right shoes are the deciding feature for a successful outfit. 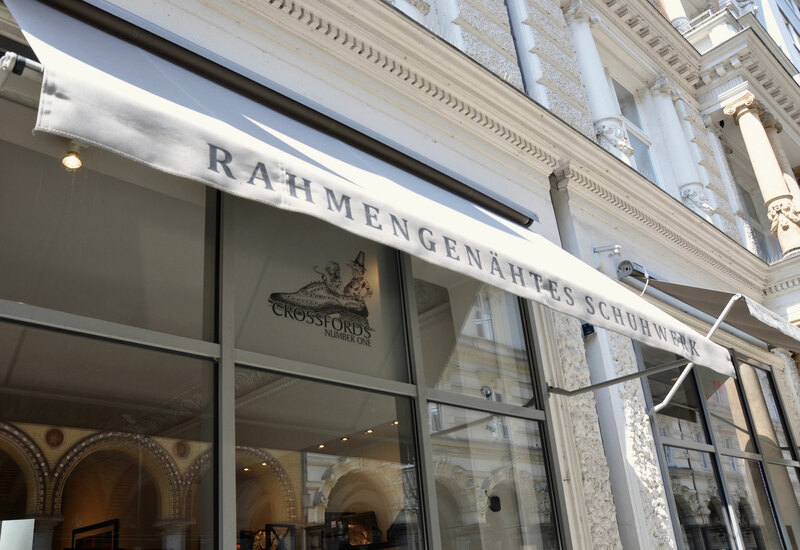 In order to give lovers of shoes and leather goods in Hamburg an additional contact point to the English clothing magazine Ladage & Oelke, we opened a dedicated shoe salon in 2008: CROSSFORD'S NUMBER ONE in the Colonnaden. Next to brand shoes by Lendvay & Schwarcz, Zaha Berlin, and Cycleur, you will largely find our own brand Ladage & Oelke here. Welted with high-quality leather, a trusty companion over many years – that's how we imagine the perfect shoe. Of course whether it is a sneaker, a Budapester, or a Maronibrater is a matter of taste. The boss, Heinrich Franck, is happy to personally and non-bindingly advise you on fit for newly made products – please arrange an appointment. Thanks to our specially created cobbler lasts, we can also fulfil many individual and unusual requests, independent of fashion and brands. Because we want to be a reliable partner to our customers, especially for difficult cases surrounding buying and repairing shoes. For example, one of our regulars was given two completely different sized feet by nature, and thanks to our possibilities regarding custom-made production no longer needs to buy two pairs of her desired shoes. Another regular receives shoes adapted with orthopedic bedding from our custom shoemakers, with which he dares go out in the streets because it isn't noticeable. And with our skilled repair and refurbishing we saved a slightly reckless young man from complete despair, who had bought expensive brand shoes at a different store only to wear them in, and seemingly completely ruin them in the nightlife district. 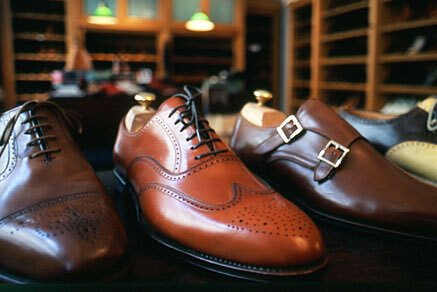 Personal service means custom-made products, repairs, and shoe cleaning tips. Along with newly made articles, we also offer a repair service, which by now customers from southern Germany or abroad can also make use of. 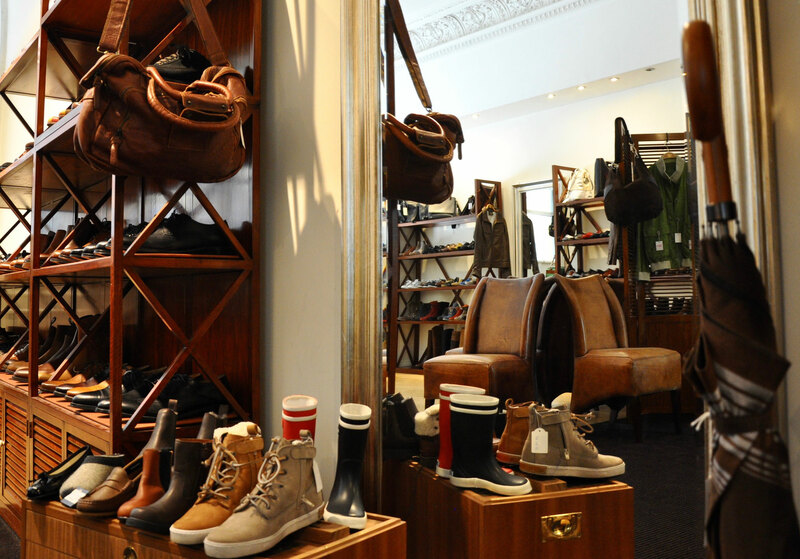 As a result, Crossford's Number One has made a name for itself as a meeting point for all lovers of fine craftsmanship, even beyond the region's borders. So that you can take pride in your custom shoes for a long time, we regularly hold shoe cleaning courses, where you will be instructed in the proper use of a stiff brush, application brush, polishing brush, suede brush, leather cleaner, as well as the appropriate creams and emulsions. These are always very social evenings; one regular customer decided to celebrate his birthday in our rooms while cleaning shoes with his friends. We are open also to such special requests from our customers. 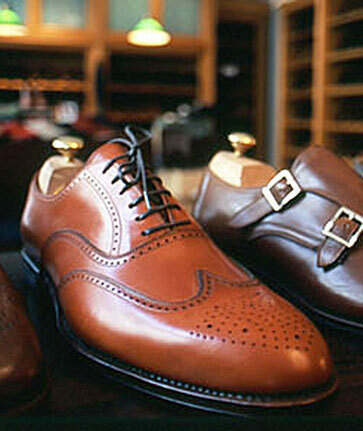 Fine shoes that fit, and bring you pleasure for many years, is what you will find at CROSSFORD'S NUMBER ONE.